World War II is coming in Europe. At least that's what Frankie Baum heard on the radio. But from her small town in Maryland, in the wilting summer heat of 1939, the war is a world away. Besides, there are too many other things to think about: first that Frankie's father up and bought a restaurant without telling anyone and now she has to help in the kitchen, peeling potatoes and washing dishes, when she d rather be racing to Wexler's Five and Dime on her skates. Plus her favorite sister, Joanie Baloney, is away for the summer and hasn t been answering any of Frankie's letters. But when some people in town start accusing her father of being a German spy, suddenly the war arrives at Frankie's feet and she can think of nothing else. Could the rumors be true? Frankie must do some spying of her own to try to figure out her father's secrets and clear his good name. What she discovers about him surprises everyone but is nothing compared to what she discovers about the world. 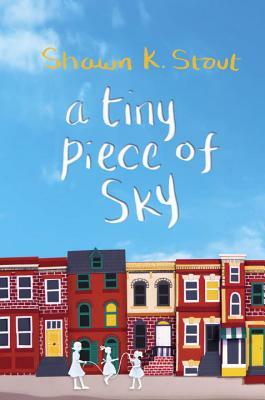 In a heartfelt, charming, and insightful novel that is based on true events, Shawn K. Stout weaves a story about family secrets, intolerance, and coming of age that will keep readers guessing until the end. Shawn K. Stout (www.shawnkstout.com)grew up in Hagerstown, Maryland, the same town where A Tiny Piece of Sky takes place, but she did her growing up more than forty years after the events in this story occur. She is the author of the Not-So-Ordinary Girl series and the Penelope Crumb series and has an MFA in Writing for Children and Young Adults from Vermont College of Fine Arts. Shawn K. Stout lives with her family in Maryland. You can follow her on Twitter at @shawnkstout."